It allows you to print or email invoice for unpaid part of the order. This Magento 1 extension will allow you to print unpaid invoice in PDF format or email it to the customer. The native Magento system will only email invoice to the customer when you actually invoice the order which will mark the order as paid. But in the case of offline payment methods, you need to email invoice to the customer for asking for payment or reminding him. 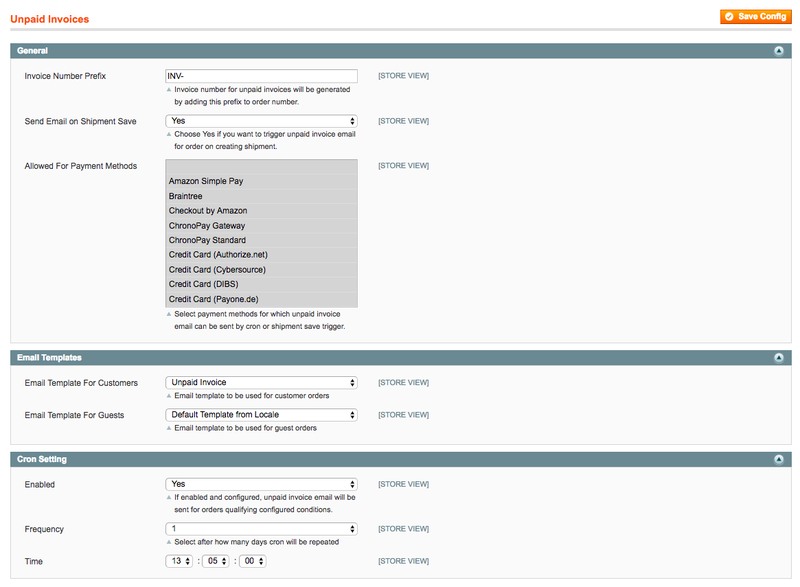 Invoice email can be sent automatically by configuring extension's cron settings.